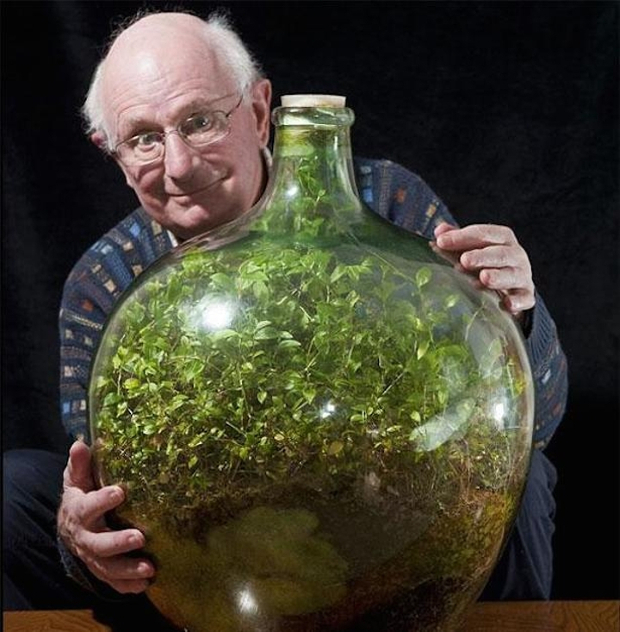 In 1960, David Latimer decided to see what would happened when he combined some dirt and one seed in a big glass bottle. 56 years later, the plant is fully grown and keeping itself alive. Latimer was surprised to find that the plant has thrived for all of these years. He first filled up the bottle with compost and then put a spiderwort seedling in the dirt unsure of what would happen. After putting some water in the giant bottle, he plugged it up with a cork and left it in a sunny corner to see what would transpire. Thanks to a little something called photosynthesis, the plant was able to survive despite being cut off from natural air. Photosynthesis allows the oxygen and the moisture to build up and “re-water” the plant, creating its own eco-system and a homemade terrarium. Latimer had no idea that the plant would survive since it hasn’t been watered since 1972. Latimer, now 80, plans on passing the plant down to his children to see how long it can last. 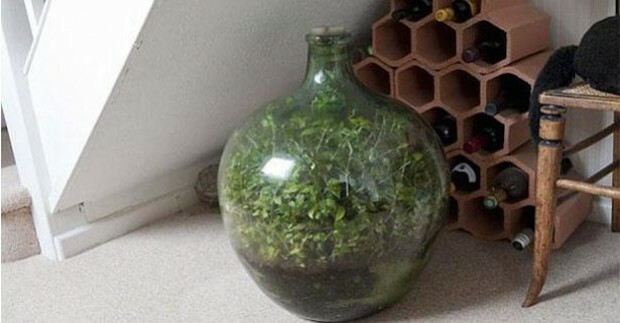 See how you can create your own version of Latimer’s giant terrarium below.